Earlier this morning there were reports that the 4-6 New Orleans Saints—who have given up by far the most points in the NFL this season—were going to fire defensive coordinator Rob Ryan. For some reason they decided to go through the charade of pretending Ryan’s firing wasn’t a foregone conclusion, with head coach Sean Payton telling reporters nobody had been fired yet. 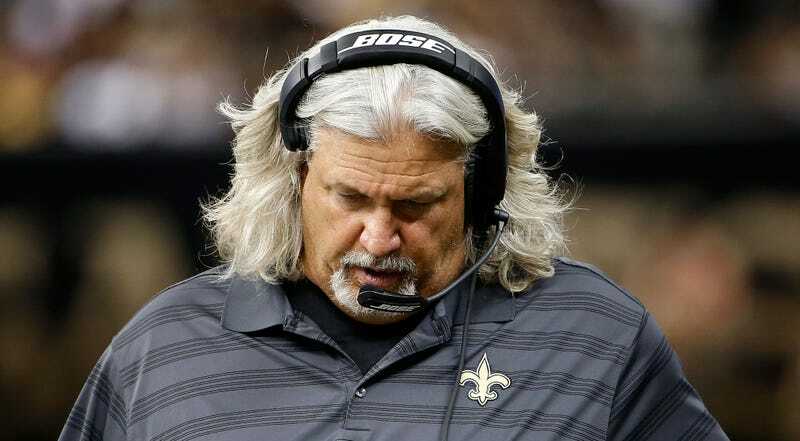 Well, somebody has finally been fired, and surprise surprise, it’s Rob Ryan! Rapoport also reports that current defensive assistant and former Raiders head coach Dennis Allen has been promoted to fill Ryan’s spot.